Disclosure: I’m participating in the CAA South Central Ontario Spot the Partner program with SJ Consulting. All opinions are 100% my own. I was talking to my mom on the phone over the weekend about our upcoming move to Ontario and mentioned to her that I recently became a CAA Member. I was not prepared for her reaction at all. She brightly exclaimed, “Oh you are going to save so much money when you travel!” I didn’t realize that my parents were already CAA Members. She went on to talk about how much she loves saving money on their frequent road trips. Both my parents ride Harley-Davidson motorcycles and are away quite frequently during the warmer months of the year. We went on to talk about the different CAA partners and I mentioned I was also looking forward to checking out the eStore. I’m a big online shopper and can save money and earn CAA Dollars® when I shop at the CAA eStore. June is a big month for me. Not only am I moving to Ontario from Nova Scotia, but I’m also participating in the CAA Spot the Partner campaign. The goal is for me to locate the various CAA partners in both my local community and online as well as use my CAA membership card to shop, save money and earn CAA Dollars. I was a CAA Member about 13 or 14 years ago when we were living in Ontario. Back then, I mainly wanted the membership for the Roadside Assistance benefits. I had no clue that it now offers so many perks for being a member. It’s perfect for me since I am quite frugal and strive to save money wherever I can. I browsed through the list of CAA partners and was blown away how many there are! I wish I had the membership when we were in Niagara Falls a few years back. We could have save so much money on the many tourist attractions and hotels on the list. I also saw that Petro Canada was a CAA Partner and registered CAA Members earn 20% more Petro-Points. I’ll make sure to tell John that Petro Canada is where we need to fuel up when we need gas for the vehicles. There is also a CAA eStore! Olivia, my teen daughter, is going to freak when she sees that Forever 21 is on there. We shop online there all the time. Now at least I can earn 4% back in CAA Dollars when I buy her clothes. I encourage you to check out the full list of CAA partners including ones in the eStore. I can’t wait to get shopping and watch the savings roll in. Big news! For any purchases made at the CAA eStore for the month of June, you’ll earn double the CAA Dollars! A CAA membership has many perks like access to exclusive discounts and offers. I also like knowing it’s there when I need it for Roadside Assistance, Insurance and Travel benefits. Visit CAA to learn more and join if you’re not already a CAA Member! Twitter party alert! Join the #CAAChat Father’s Day Twitter party on June 12th from noon-1EST. They will have fantastic prizes for Dad & the entire family and would love you to join! Connect with CAA South Central Ontario on Facebook, Twitter & Instagram. Thank you for sharing these savings. 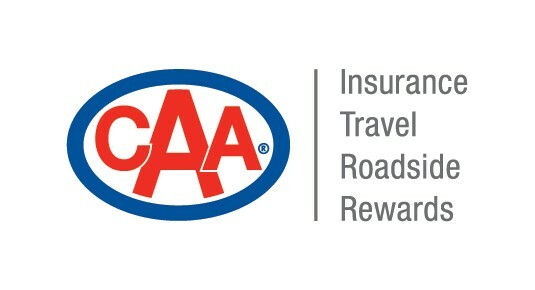 I have been a CAA member for years, so many great ways to save, not just on roadside assistance! We are not members of CAA, but my husband has been a Petro points member for years. He often redeems his points to purchase Lotto 649 tickets.